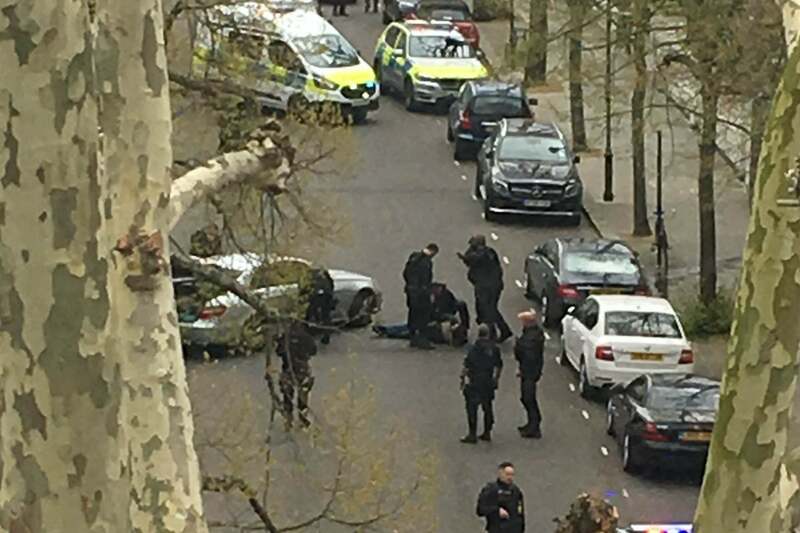 A silver Mercedes was driven at police officers after ramming into several cars, including the Ukrainian ambassador’s, outside the embassy yesterday afternoon. Police said a man drove at them when they arrived at the scene and they opened fire. Police firearms and Taser were discharged, Scotland Yard said. The vehicle was stopped and a man aged 40 was arrested on suspicion of the attempted murder of police officers and criminal damage. The Met said today that a man had been sectioned under the Mental Health Act following the incident. He will be taken to hospital for treatment. The Directorate of Professional Standards has been informed. Enquiries continue.